The Sopranos finale left many with a sour taste in their mouth (be forewarned there will be spoilers of shows if not in detail at least in passing). The infamous fade to black scene in the dinner of The Sopranos to many ruined a show they had loved for years. You’re never going to satisfy everyone. But the goal of an ending should be to make the audience’s time feel worth while. Thus The Sopranos conclusion drew so much ire. Alas in most western cinema the “bad guy” always gets a “taste of his own medicine” Did Tony Soprano get gunned down in that dinner? Or did he just enjoy a nice meal with his family? Was the audience upset because they did not see him get that due justice or because the human condition for most does not do well with the unknown. From M.A.S.H. to Parks and Recreation to Breaking Bad creators strive for that balanced middle ground. Wrapping up loose ends while also offering a glimpse of what the future may hold for each character. Parks and Recreation for fans had one of the most satisfying conclusions. In the finale there is a flash forward in time for all the main characters and even a couple bit characters. We learn Donna is living a great life in Seattle with her real estate business. Andy and April have a baby and are still as goofy as ever. Ron gets to spend his days overlooking the Eagleton National park. Best of all Gary aka Jerry aka Larry aka Terry becomes the mayor and thanks to Donna his co workers finally start calling him by his real name. Perhaps Parks and Rec went too far with breaking down each character, but you can see the love and attention and thoughtfulness put into it by the creators. They wanted to send off each character in a special way and thank the audience for their viewership. This is one way to go about endings. A deep look into each character. Then you have others that stick with just the conclusion for the main character and offer a hint at others. Scrubs did this with their finale in season 8. Season 9 does not count as its official title was Scrubs [Med School]. In the last 10 minutes while JD is walking out of the hospital for the last time he is reminded of the people he’s met and sees them in the hallway. A great treat for fans to see all of their fan favorites one last time. In the entire episode JD is speaking of endings and how he is so caught up with wondering what his last day will be like. He’s the voice of the audience. We build up these moments and make it almost impossible to live up to our expectations. In the final minutes JD exits through the doors of Sacred Heart Hospital pauses and thinks about his future. But instead of the usual cut and dream sequence we’re treated to a projection on a sheet that had been hung up by his best friend Turk earlier in the episode wishing him a good bye. In this projection we see JD’s thoughts of his future. Marrying Elliot, having a baby with her, Christmas’ spent with loved ones. After, he wonders “why can’t my fantasies come true just once”. It’s a great way to give the audience a slight glimpse of the possibility of what the future may hold without going so far. One cannot speak of T.V. endings without mentioning the most watched ending of all time, M.A.S.H. For the younger crowd the acronym M.A.S.H stood for Mobile Army Surgical Hospital. It was a fictional hospital show that took place during the Korean war. Following the life of Captain Benjamin “Hawkeye “ Pierce (Alan Alda) and rag tag group of others in a mobile hospital and life in the army. Pierce saying goodbye one last time to Captain B.J. Hunnicutt (Mike Farrell) in one of the most bromantic of goodbyes. Though there’s a strong genuine sense to their portrayals. Hawkeye is the voice of the audience, establishing not knowing when they’ll see each other again. But with his charming delivery we feel as if everything is going to be alright. 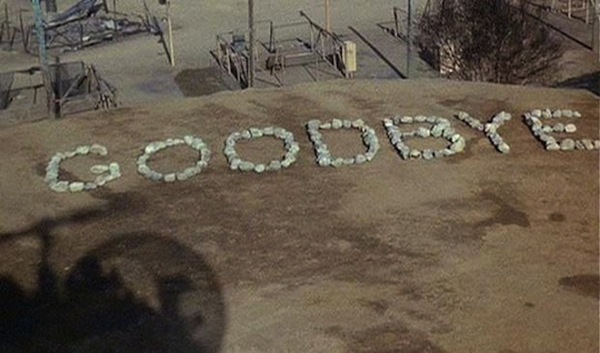 For greater emphasis a big “Goodbye” sign was written with rocks as the chopper taking Pierce lifts off. It was a goodbye to all the characters those who watched this show came to know and love and a goodbye from the creators to the audience that loved M.A.S.H. Many characters came and went in a series that lasted so long but its fans were satisfied in the conclusion. They also had a spin off series but was nowhere close to the success of M.A.S.H. Speaking of things lasting too long it brings us to How I Met Your Mother. A great premise that was dragged on for 9 seasons and countless ridiculous situations. The show as a whole was endearing and you cared about the characters though they evolved to be caricatures of themselves towards the end of the series run. The final season we finally meet “the mother” Tracy McConnell played by Cristin Miliotti. Miliotti played her character with such charm that the audience rooted for her more so than Robin (Cobie Smulders). They wanted the happily ever after with her and Ted (Josh Radnor) that had been built up for so long. So the ending was a great disappointment to people. There are cases to be made for both sides. One of the arguments made for the ending was Ted learning his final life lesson and that you can’t predict what will happen in life. The other argument; was the story has always been about Robin and Ted. The creators aimed for creativity and the show was an expression of their creativity. In trying to teach such a serious message to their audience it left many behind. That’s not to say it can’t be done. Many shows have ended on serious notes and in surprising ways that both teach a lesson and leave a satisfying conclusion. Whichever camp you fall into rooting for the mother or liking the way it ended the conclusion ultimately let down a lot of fans. Ted, Robin and the rest of the gang had their satisfying conclusions but the mother ended up being more of a side note, not mattering much in the end on a show that was built on her entire premise. Though this kind of thinking takes away from a show that had a lot of great moments in between and other lessons that were delivered in a stronger manner. The unpredictability of life is a scary thing and the unknown is what’s driven humans to seek out and explore. It’s why the great Stephen Hawking has dedicated most of his life to the “theory of everything”. From the way the universe began to the way it may end. The best shows put us in the shoes of the main character or insert us along for the ride to give us our own conclusion. Television encapsulates all of what we wish for. We can be taken away on Starships, join the Parks and Recreation Department, live out our mob fantasies or be advertising men and women in the 1960’s. The shows we’re most attached to take a piece of them with us which in turn, makes it our ending as well. We want our own story to have a happy ending. We want to know that the people we cared about are happy. So when television shows don’t take it seriously or go completely off the rails (Seinfeld) the message of a show is lost. The Wonder Years had a great message in its ending. As much as we wanted Winnie and Arnold to get together in the end they did not. Narrated by the grown up Arnold he states that’s not real life. Things don’t always work out the way you think they do. An important lesson to learn. The same message How I met Your Mother tried to convey with less effect. Even though things don’t end the way you think they will or how disappointed in the way they happened it doesn’t mean it’s bad. New experiences and new opportunities can be just as great. We can imagine Tony Soprano leaving the dinner and living happily ever after or if we want that due justice we can imagine him getting gunned down in a brutal fashion in front of his family. The ending is what we want it to be. With so many shows we could go on and on, we encourage you our audience to tell us all about them in the comments. 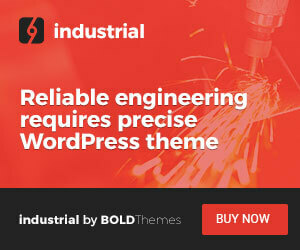 Can creators do more? Perhaps, but you can never please everyone. The human condition is not built that way. We’re all individuals with our own hopes and dreams and views of how things should be. So instead of judging a show too harshly and tearing it apart (that’s not to say we shouldn’t critique. Critiquing can be good, it helps us improve), lets remember the magic of the suspended reality that is television. Dedicated men and women that work hard to take us on those Starships, to a bar in New York City, to a struggle for control of a throne. These characters and places can live on forever, in reruns, in our imaginations in fan fiction (as bad as some of the latter may be). Live on in our hearts and minds, forever.